Coming off recent work on the upcoming Stephen Hawking biopic Theory of Everything, Icelandic composer Jóhann Jóhannsson will once again be working with Denis Villeneuve (Incendies, Enemy) to score the director's next film, Sicario. Film Music Reporter reports that Jóhannsson is set to deliver a score for the film, due sometime in 2015 through Lionsgate. Sicario stars Emily Blunt, Benicio del Toro, Josh Brolin, Jon Bernthal and Jeffrey Donovan, and presents a story about an Arizona cop travelling to Mexico alongside a pair of mercenaries to track down a drug lord. 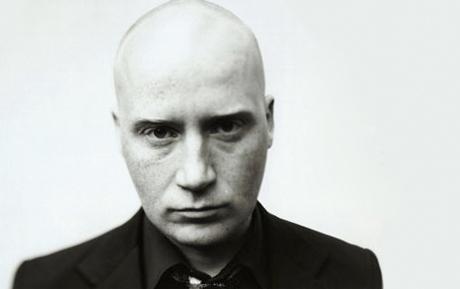 Jóhannsson had previously worked with Villeneuve on last year's Prisoners, which received a CD release around the same time the film hit screens, and a vinyl pressing earlier this year. As for Theory of Everything, the film premieres at the Toronto International Film Festival next month and gets its wider release November 7. As previously reported, the film focuses on the relationship between Hawking and his first wife Jane Hawking (née Wilde), who had met before he was diagnosed with ALS (a.k.a. Lou Gehrig's Disease). You'll find a trailer for the film down below.